As the adage goes, ‘it takes 20 years to build trust, but a day to destroy it’. Brands have to care about what people think about them to stay on the top of their field. This is where the overly technical field of sentiment analysis connects to social media. A ton of companies and brands now use sentiment analysis to find out what people are saying about them on social media. A bad review on social media can destroy a brand’s reputation if ignored or poorly handled. Take United Airlines for example. After they dragged a man out of their overbooked flight, the airlines then proceeded to dismiss the event as nothing but an issue of overbooking. It was not just an issue of a brand’s reputation that takes a hit in situations like this. United’s stocks plummeted, and the company lost 250 million dollars in one day. There are plenty of descriptions out there of what sentiment analysis is all about. Most definitions agree on one thing. Sentiment analysis includes opinion mining. While, sentiment analysis cannot be over-simplified to mean just opinion mining, this aspect plays a large part in the analysis process. Sentiment analysis seeks to understand a subject’s attitude or emotional reaction toward a specific topic (or brand). Sentiment analysis uses particular tools, techniques, and methods to understand what people say about a matter. Sentiment analysis does not have to be complicated and technical. It could be something as simple as getting a person in your team to find what is being said about your brand on social media and identify how much of it is good and how much of isn’t. There is no need for a big budget and investment into complicated software (it’s great if you can afford it, but if you can’t, that’s fine too). Online and social media content including Facebook posts, podcasts, Tweets, blog comments, forum posts, videos, graphics, and images. Tools, techniques or methods used in sentiment analysis vary widely and may include social media monitoring, keyword/text processing tools, biometric tools, computational linguistics, Natural Language Processing (NLP) tools, or a simple assessment by another person. How does Sentiment Analysis Work? Sentiment analysis has evolved quite a lot over time. From the birth of verbal communication, people were always interested in other people’s opinions. The opinions were used by leaders to help prepare for opposition or increase popularity. For example, in democratic politics as far back as ancient Greece, voting was used as a measure of public opinion about policy. More recently, in the first decades of the 20th century, questionnaires were used to capture, measure and quantify public opinion. Sentiment analysis is continually evolving from being mostly one dimensional in its perspective (good, bad or neutral) to being more involved in its assessment of the nuances in emotions and the differentiation of those feelings (for example distinguishing anger and grief). When we speak of computer-based sentiment analysis, data is at the core of all topics. The data can include social media feeds, music, images, videos, email, microblogging, chat and so on. Data collection: Involves collection of data from user-generated content on social media networks, blogs, and forums. Such data is often disorganized, expressed in different ways using different; slang, vocabularies, languages, and contexts, etc. Preparation: involves cleaning the collected data by identifying and eliminating irrelevant content before it is analyzed. For example, text analysis and text mining can be conducted on Twitter. These are examples of tweets that would be counted, if McDonald’s conducted Sentiment Analysis. Sentiment detection: Subjective expressions including beliefs, opinions, and views are retained, and objective information including facts are discarded. At the aspect level where different opinions on the different aspects of the same product are considered. At the aspect level, the focus is directly on the opinion and not on the language structure. Presentation of output: The analyzed information is then displayed in a visually impactful way including through; graphs, charts, sparklines and such. Additionally, time and sentiment can be analyzed to construct a sentiment timeline with chosen values like percentages, frequency, and averages. In the sentiment classification step (c), subjective expressions can be distinguished or classified according to sentiment classification approaches based on techniques used and according to the tools used for different approaches. Machine learning approach; used to predict the polarity of sentiments based on trained and test datasets. Lexicon based approach; uses predefined lists of words that are already associated with specific sentiments. This approach mines data without prior training. Hybrid approach; uses a combination of both machine learning and lexicon approaches to improve sentiment classification performance. Manual processing; where human interpretation is used. Natural Language processing/text analytics/data mining/computational linguistics: where computer systems are used to process human language meaning. Where do Semantic analysis and Sentiment analysis meet? Sentiment analysis and semantic analysis have similarities and differences. Semantic analysis basically studies the meaning of language and how the language can be understood. It can be used to extract relevant and useful information from large amounts of text and thereafter analyze the information. Sentiment analysis basically measures emotions behind the information studied. 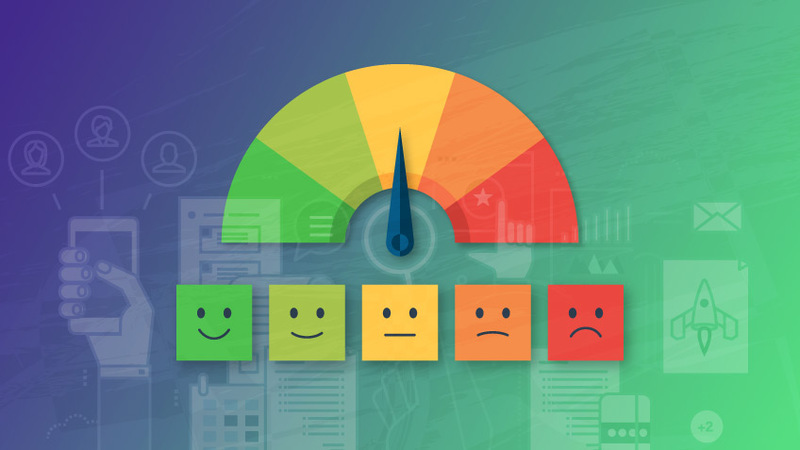 Sentiment analysis can be very useful because it can help businesses to differentiate themselves in certain ways and therefore stand out from the crowd of competitors to vie for the attention of customers. Different applications of sentiment analysis in business include: determining consumer voice, e-commerce, brand reputation, online advertising. Sentiment analysis could also be used in politics and public actions for example in voting applications, the clarification of political positions, real-time event monitoring, policy proposals and so on. What are the Benefits of Sentiment Analysis? The utility of sentiment analysis in different fields comes to fruition when large amounts of data can be analyzed and drilled into to provide a macro view and a micro view of sentiment. Results of the analysis can then be prioritized according to relative importance. Companies have been trying to use consumer feedback to improve their products for decades now. For the first time, they don’t have to chase customers for feedback; thanks to social media, feedback now comes to them. They can use this data to understand what their customers want from them and adapt themselves accordingly. If your company is one that makes cookies and you can see people tweeting that they don’t like the new flavors or packaging, you can immediately fix the issue before you lose any customers. Products are not only analyzed according to functionality but also according to other factors such as packaging, colors, build quality and so on. By paying attention to sentiment analysis product quality can be refined in several ways beyond functionality by paying attention to opinions or reviews about different aspects of a product. Through social media, customers can talk about how they perceive brands they like or don’t like. By listening to what customers say through the lens of sentiment analysis, marketing strategies can be optimized or adjusted to meet target customer’s needs. Take Expedia Canada for example. They realized that people hated the music in one of their ads and it impacted their approval ratings. They not only removed the ad quickly, they also replaced it with another one which mocked the annoying ad. In this way, they redeemed themselves in the eyes of their audiences. Through sentiment analysis, the effectiveness of marketing campaigns can be measured qualitatively and quantitatively. Not only can the number of likes, dislike be measured, but also the quality of the negative and positive discussions can be measured as well. All this easily translates into accurately measuring the ROI of a marketing campaign. Sentiment analysis is extremely valuable for measuring campaign effectiveness. It adds depth and an additional layer of understanding your metrics. Sometimes, it gives you answers to why your metrics look the way they do. For example, say you have an online store for people to buy clothes. You’ve started new marketing tactics to help increase sales. You’ve introduced a pleasant video playing in the background while they shop and have started using augmented reality to help them choose their outfits better. There is a sudden jump in the number of people who signed off without interacting with your products. You have no idea why this happened. You’ve run all the tests on your pages and they seem fine. You go on Twitter and see that people are tweeting about your brand. They love the augmented reality feature but are annoyed by the video that keeps playing in the background, a problem you didn’t anticipate, but one which can be fixed with ease. Most people go on social media to bring attention to a problem they face. And why not, these platforms give their problems visibility and bring accountability to companies. In cases like this, it would be foolhardy to ignore the importance of social media in tracking campaigns. Real-time monitoring of conversations among interlocutors can help to mitigate damage caused by negative communication. Brands that do not handle social media crises well usually pay a high price for it. On the flip side, brands that do handle these crises well, develop new loyal customers. British Airways are notorious for their incompetent use of social media. Whether it involves lost baggage or grounded flights, British Airways is almost always the last one to react. This has cost them a fair bunch of loyal customers. On the other hand, the Royal Dutch Airlines has had a ton of happy customers thanks to their quick social media use. When they are faced with crises, they respond quickly to their customers and try and fix the problem. Why is crisis management important? Crisis management is important because it tells your customers that you care. More importantly, active crisis management indicates to your clients that you as a brand are committed to staying accountable for the problems they face. Companies that hide are deemed less trustworthy than companies that go out there and face the crisis head-on. There is a wide variety of tools that are used in sentiment analysis. These tools can be classified in several different ways. One way to classify the tools is through the different techniques that are used for sentiment analysis. Brandwatch: It provides tool or service based on machine learning. 500 classifiers are used across different languages to ensure accurate automation of the sentiment categorization process. Laxalytics: It provides several different tools and services for sentiment analysis mostly focusing on NLP and text analysis tools. Sentdex: It uses a bot to pull data or news from the internet through NLP. The data is analyzed and sentiment is derived from the text. Clickworker: It uses a mix of human and machine learning for a variety of tasks related to sentiment analysis including; web research, keyword assignment, and categorization, product data management etc. AFINN Affective Norms for English Words (ANEW) but more focused on the language used in microblogging platforms. Sentiment140 API that allows classifying tweets to polarity classes positive, negative and neutral. NRC Large set of human-provided words with their emotional tags. One of the big benefits of sentiment analysis in understanding customer feedback. This feedback is understood by closely observing social media monitoring tools, to then bridge the gap between insight and action/engagement. Since social media produces a lot of data, social media analysis tools used to analyze and prioritize this data continue to be very useful. Additionally, the right influencers can draw attention to your different relevant topics or products. Essentially, having the right influencer can not only help bring attention to your topics or products but it can also pave the way for your audience or target market to take action. In order to get the best response through influencer marketing, it is critical that you choose the right influencers. Sentiment analysis can be used to vet an influencer and ensure that they are the right one for your promotions. Furthermore, the social media reputation profiles of influences can be created using sentiment analysis to create a sentiment index that can be used to prioritize or determine the usefulness of an influencer towards a particular cause. Essentially, you can find out more about an influencers reputation by how much their reputation crosses over from one social media channel to the other. Additionally, the intensity of emotion or opinion that an influencer draws should also be an important data point of interest that can be informed by sentiment analysis. In a case study of the automotive industry, Twitter sentiment analysis was used to determine preference, emotion, polarity and opinions about three key luxury vehicle brand; BMW, Mercedes, and Audi. Data in the form of 3000 Tweets were collected through the Automatic sentiment analysis of Twitter feeds collected using R. 1000 tweets for each of the three vehicle brands was collected and filtered to all be in English. Text mining preprocessing techniques including Tokenization, Filtering, Stemming, Lemmatization were then used to clean up the tweets and to get rid of unnecessary retweets, hashtags, numbers white spaces, HTML links and so on. A machine learning approach to sentiment analysis, Naïve Bayes (NB), was used to classify the polarity of emotions. Additionally, a polarity lexicon approach and an emotions lexicon were also used in the sentiment analysis classification step. BMW: 72% positive, 8% negative and 20% neutral. Mercedes: 79% positive, 18% negative and 3% neutral. Audi: 83% positive, 16% negative and 1% neutral. It needs to be mentioned that sentiment analysis should of course not be used in isolation because it is just one metric that should be used in tandem with others. Additionally, using it in the right context is critically important as well. When monitoring feedback, going through just a few data points including Tweets, comments, reviews and so on, can be most effectively done through simply reading the comments. However, if you have thousands and sometimes even hundreds of thousands of data points on a consistent basis, reading all the feedback can be difficult if not impossible. This is where sentiment analysis can be of great help in providing directional insight and for paving the way for further analysis, insight and appropriate action. Thank you so much for this outstanding post. 🙂 It’s very helpful. 🙂 Keep writing and stay blessed.